You keep your action figures in their original packaging. Your bedsheets are officially licensed Star Wars merchandise. You’re hooked on Elder Scrolls and Metal Gear but now you’ve discovered an even bigger obsession: the new girl who just moved in down the hall. What’s a geek to do? Take some tips from Eric Smith in The Geek’s Guide to Dating. This hilarious primer leads geeks of all ages through the perils and pitfalls of meeting women, going on dates, getting serious, breaking up, and establishing a successful lifelong relationship (hint: it’s time to invest in new bedsheets). Full of whimsical 8-bit illustrations, The Geek’s Guide to Dating will teach fanboys everywhere to love long and prosper. I'm going to be honest right up front: I didn't actually finish reading The Geek's Guide to Dating. It's not because I didn't like it, on the contrary. I found Eric Smith's voice delightfully humorous and fun to read, and I loved all the 8-bit illustrations peppered throughout its pages. I especially loved the video game references and tropes, along with the second person narration, referring to the reader as Player One in search of a Player Two. But here's why I just couldn't bring myself to finish it: I'm an old married lady who doesn't wish to relive my single days. I have been with my husband for twelve years, married for ten of those twelve, and quite frankly, I am grateful I don't have to deal with the dating scene anymore. Maybe there are some married people out there who long for their freedom-wielding single days but I am not one of those people. And reading this book reminded me how much I'm glad to be away from my single days. 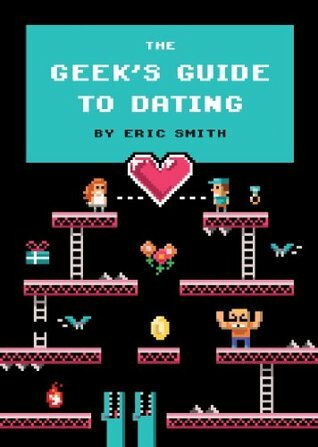 But if you are single and you just happen to be a geek, Eric Smith's guide will surely put a smile on your face and maybe even teach you a thing or two. I could envision this being a great stocking stuffer for the geek in your family.